Another great event to be hosted by the Sarasota Sailing Squadron. 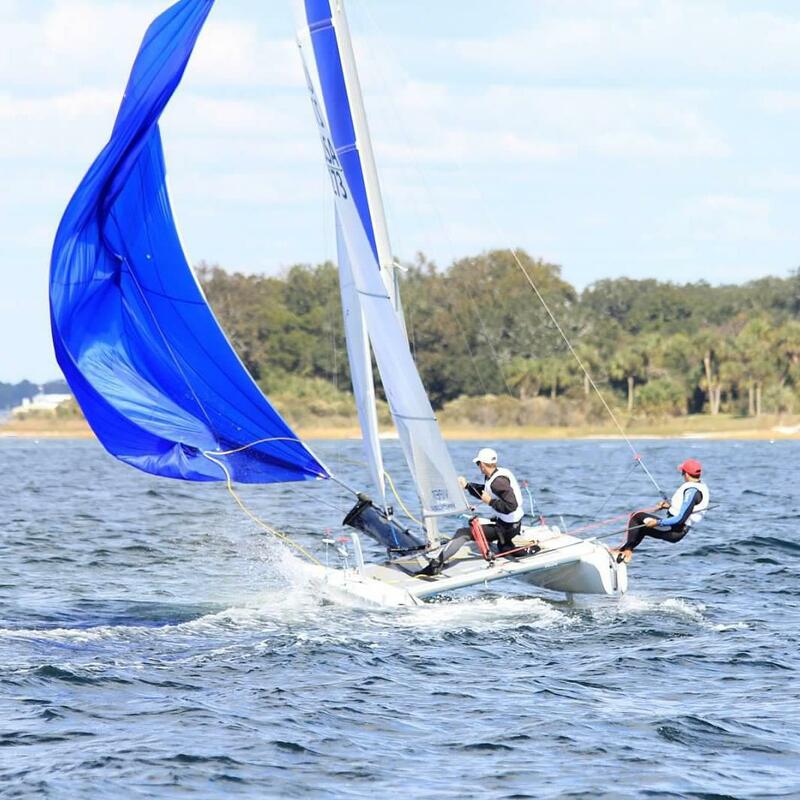 The same venue as the F18 Americas Championship which brought over 50 sailors from around the world to the beautiful waters of the Sarasota Bay. Come to Sarasota April 5-6 and enjoy a weekend of fun racing and beautiful scenery. F16s and F18s are welcome. There are currently 6 cats registered, all from Sarasota! I'm off, working on a kitchen pass for this one. BTW, Early registration ends today. Goes up $25 beginning tomorrow. And it goes up even more if you register the day of, like I usually do! Oh, but at least I won't get a T-shirt. Anyone seen Seth? Is he still alive? I just got registered, where's Seth? I'm staying with you and Kristin, right? I think that means you haven't paid your registration fee yet. Checked in with Blondie and she says she likes guys in uniforms. Especially 777 pilots who can find their way home. Do I have to wear my Captain's hat too? Sleeping with that on always gives me a crick in my neck!